Acting for Sitcoms 1 will give you powerful tools you will use throughout your lifetime. We teach you world class script analysis, that lays the foundation for outstanding auditions. 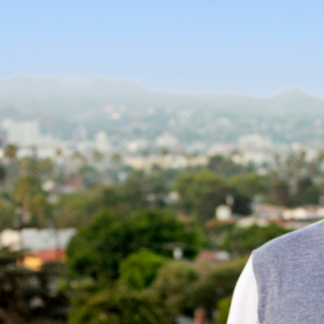 Writers and producers hire actors. When you understand scripts the way writers intended, you’ll start booking. The confidence and certainty you gain from our highly efficient approach to the work makes acting and auditioning fun. You’ll never walk into an audition with doubts about the material again. AFS 1 is exactly the right place for new actors to start but also challenges those with moderate training. If you have a theater degree, improv/sketch training or a collection of courses under your belt, we will help you integrate your prior experience and level up to LA industry standards. With our training, you’ll never miss a clue in a script again. Acting for Sitcoms 1 is a six-week intensive course, packed with powerhouse information that will start you on the PATH to success in comedy. This is where we introduce you to our powerful iCAMERA script analysis method as well as The Heroes & Heroines of Comedy; Ten Comedy Archetypes Every Actor Should Know. Would you like an acting superpower? Our globally recognized system will give you just that. ACS Founder, Gunnar Rohrbacher, designed iCAMERA to make life easier for you! A veteran of Hollywood, he honed his skills as a writer, actor and comedy teacher simultaneously over thirty years. The insight he brings to breaking down a comedy script is game changing. The story suddenly springs to life along with the jokes and characters. The Heroes and Heroines of Comedy are archetypes utilized by writers throughout television history. As you grow more and more familiar with The Heroes & Heroines of Comedy, two things happen; 1) You gain a deeper understanding of how you are seen in the marketplace by casting, producers, agents and managers. 2) You grasp characters exactly the way the writers envisioned them. No more guessing! Most actors begin their journey through our comprehensive training program here. Beginning in AFS 1 is highly recommended, even if you’ve had prior training. We want you to fully benefit from our PATH. Monday nights from 7 – 10 pm for six consecutive weeks. No. This is our starting point for learning to act for television comedy. You can email your instructor at info@actorscomedystudio.com for notes and any materials handed out in class. Our six-week courses do not have class make-up options. Acting for Sitcoms 1 is strongly encouraged for most actors who train at Actors Comedy Studio. 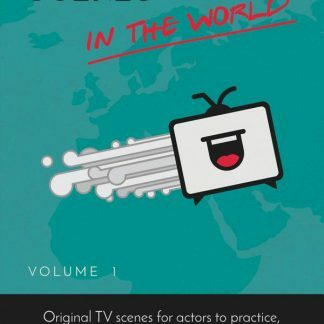 Our method for working successfully in Sitcoms is thoroughly explored in AFS 1 and is challenging even for actors with a theater degree or a collection of various acting training. For Acting for Sitcoms 1, you can register online and pay for the course using a credit card or debit card. You can also register and pay in person with credit card, debit card, cash, or check. You can also call and enroll by phone. How often does Acting for Sitcoms 1 meet?